This last Saturday found me in Appleton following around Tanya and Brent. It was a perfect Fall day for a wedding although a bit windy. And then I had an engagement shoot in Milwaukee with Melissa and Matt. We started out at the Country Claire Inn and then traveled to the cool museum and then down to the Third Ward. Lots of great opportunities. Here's one from the day. Had two weddings this last weekend. Friday I was down in Lomira for the wedding of Marla and Derrick. Then on Saturday I was up in Appleton at the Gardens of the Fox Valley for the wedding of Nicole and Dean. It was a busy but fun weekend! And a few recent weddings too! 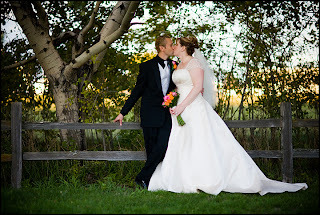 I had two recent weddings here in Oshkosh. Jessica and Josh on September 8th and Julie and Ryan on September 29th. Both of the brides chose Salon-Mode for their hair and makeup. I got to shoot at the salon both times. It is a great place to shoot and the people there are nice. Places I've been this year! It has been a busy year! 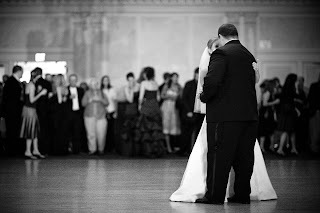 I am now going to make a commitment to keeping up with this blog now that I am a full time wedding photorapher (yay!!!). Anyway, just thought I would make a list of all of the places I have done weddings this year. Man, I went to a lot of great places this year. Got a couple more left this year including a wedding in Iron Mountain, Michigan!